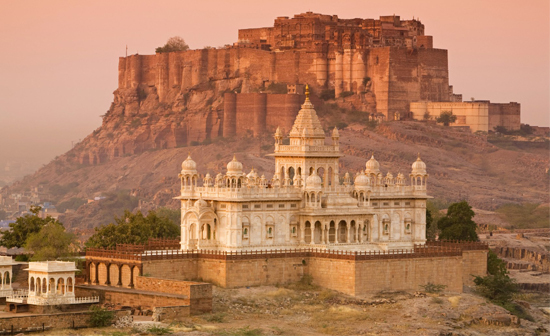 Mehrangarh the Fort of Jodhpur crowns a rocky hill that rises 400 feet above the surrounding plain, and appears both to command and to meld with the landscape. One of the largest forts in Rajasthan, it contains some of the finest palaces and preserves in its museum many priceless relics of Indian courtly life. 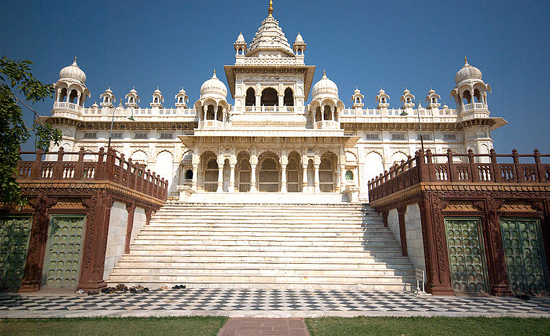 The Jaswant Thada is an architectural marvel with intricate carvings. Famed as one of the most beautiful white marble cenotaphs, it was built in 1899 by Maharaja Sardar Singh in commemoration of his father Maharaja Jaswant Singh II. This white marble wonder of Rajasthan is often called the Taj Mahal of Marwar. The splendid edifice is a perfect example of Rajputana style of architecture. Its impeccable design and architecture is symbolic of the fine craftsmanship of the bygone era. 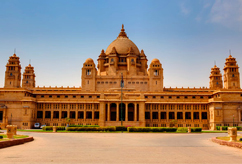 Umaid Bhawan Palace, located at Jodhpur in Rajasthan, India, is one of the world's largest private residences. A part of the palace is managed by Taj Hotels.Named after Maharaja Umaid Singh. Umaid Bhawan Palace was called Chittar Palace during its construction due to use of stones drawn from the Chittar hill where it is located. Ground for the foundations of the building was broken on 18 November 1929 by Maharaja Umaid Singh and the construction work was completed in 1943. 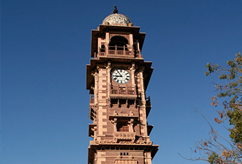 Clock Tower, also known as the Ghanta Ghar of Rajasthan, is in the Indian city of Jodhpur. It was built by Maharaja Sardar Singh from whom the market takes it name.It's a 70 mm cinemascope with unknown and faceless humans in the lead roles for many tourists.